a1, a2, Kollywood » Ilaiyaraja turns 69! It would be extremely difficult to handpick a favorite Ilaiyaraja song from the scores of lilting musical compositions that the composer has come up with, over a career that spans across several decades. 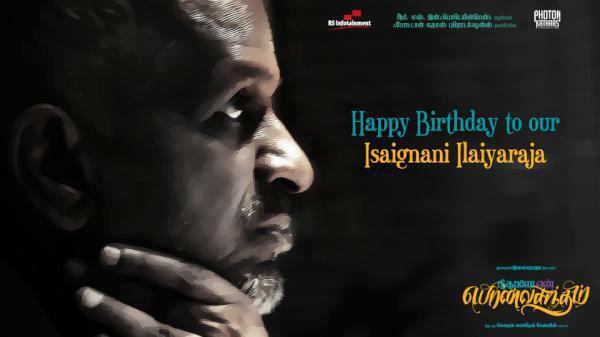 Come June 2, and Ilaiyaraja, renowned music composer turns 69! Ilaiyaraaja has been a prominent composer of film music in South Indian cinema since the late 1970s. His works are mainly in Tamil, but has also scored music for numerous films in Telugu, Malayalam, Kannada, Hindi and a film in Marathi. To date, he has composed over 4500 songs and provided film scores for more than 950 Indian films in various languages. He has won four Indian National Film Awards; three for Best Music Direction and one for Best Background Score and is a recipient of the prestigious Padma Bhushan Award from the Government of India. Cinediary wishes the gifted musician many happy returns of the day!